Despite how much of a disaster the movie was (or maybe because of how much of a disaster it was? ), Amazon and TV production studio MRC are moving forward with their pilot based on Stephen King’s Dark Tower books. Walking Dead survivor Glenn Mazzara is developing the project, which has been pitched as a prequel series that is more faithful to the books than movie was, but that’s still not particularly encouraging for fans who were already burned by Idris Elba and Matthew McConaughey. After all, you’d have to actually try pretty hard to be less faithful to the books, even if the movies did try to cheat that with a fan-service bit of costume design that made literally no impact in the movie itself. 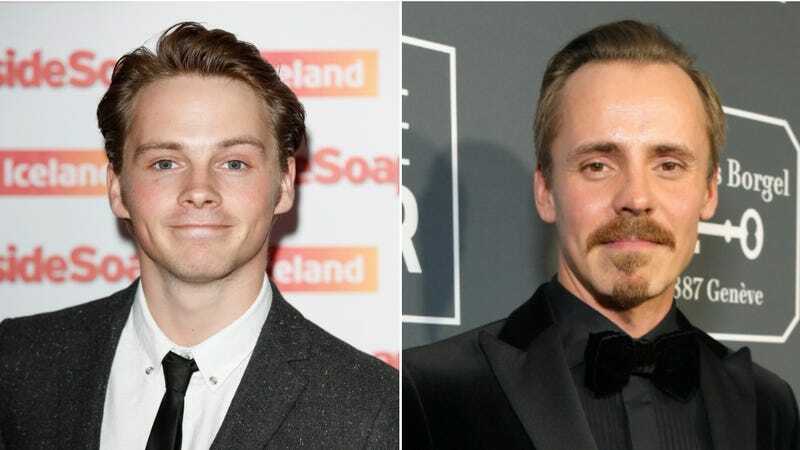 Anyway, it’s time to forget Elba and McConaughey altogether, because Variety says that Amazon and MRC have found a new Gunslinger and Man In Black with Sam Strike (Nightflyers) and Jasper Pääkkönen (BlacKkKlansman). Strike will play the young Roland Deschain, years before he embarks on his quest to reach the eponymous Dark Tower, while Pääkkönen will reportedly be playing the evil Man In Black, a.k.a. Marten Broadcloak/Walter Padick. As King fans know, Marten is also the same guy as Randall Flagg from The Stand, but that’s not really relevant until much later in the timeline from the books. The plan for the series is to follow Roland as he first becomes a Gunslinger (basically a cowboy knight), which means it’ll be pulling from the flashback adventures in King’s Wizard And Glass book. That also means the core Dark Tower cast won’t be showing up, but we should theoretically get a glimpse of some sweet Dark Tower mythology in the form of Roland’s doomed Gunslinger pals, his similarly doomed girlfriend, and a magical ball called Maerlyn’s Grapefruit. Like everything related to The Dark Tower, this could end up being either delightfully weird or annoyingly stupid.